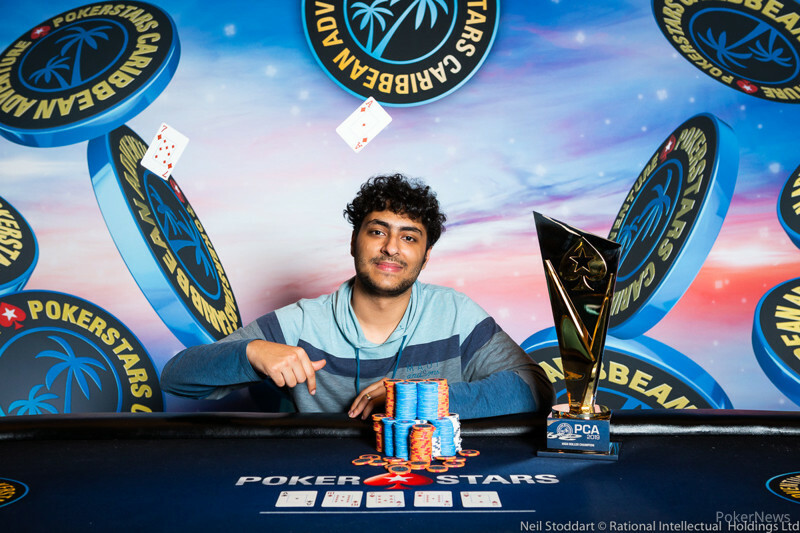 If the story of Martin Zamani in the PokerStars Caribbean Adventure $25,000 High Roller is to be believed, all a player needs is a little luck and a good attitude to beat the end boss and win almost $900,000. Zamani, a player with about $450,000 in cashes coming into this event, might be most recognizable for his last name — shared with brother Ben, a former WPT Player of the Year and two-time WSOP bracelet winner. Martin even introduced himself as Ben's brother in a winner's interview with PokerStars staff. 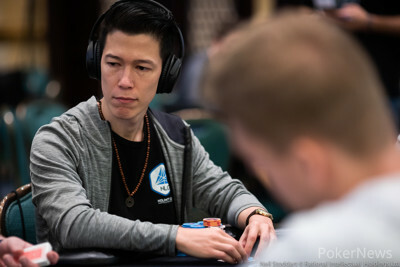 However, Martin's the first in the family to win a $25,000 event, topping a field of 162 to win $895,110 in prize money and lift the hefty PokerStars trophy in the final high roller of the 2019 PCA. "It was fun," Zamani said. "I ran really good." Certainly, Zamani's name wouldn't have likely been the first an observer picked when asked who was going to take this thing down, out of 12 Day 3 runners. Not with a chip stack around average and high roller bosses like Sam Greenwood, Nick Petrangelo and Dominik Nitsche remaining in the field. However, the former two of those fell before the final table, while the latter crept in on the shorter side. Meanwhile, the early stages of the final table belonged to start-of-day leader Thomas Muehloecker and Tom-Aksel Bedell. 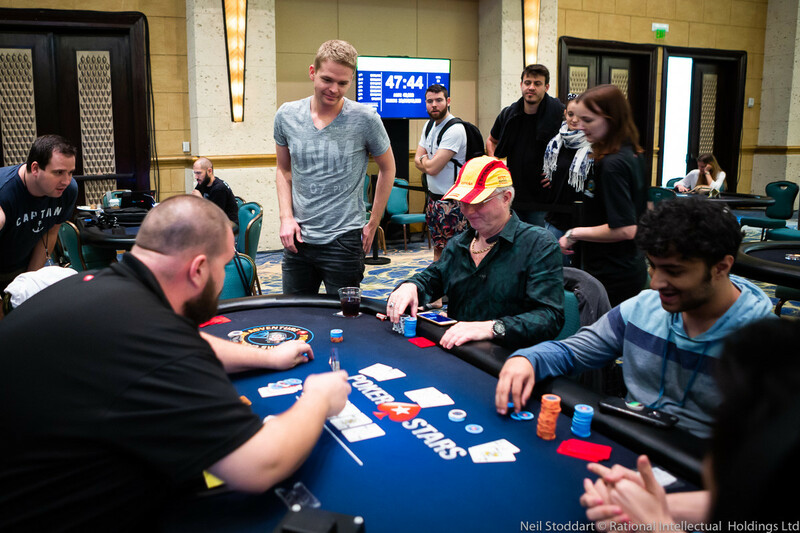 Zamani was nearly busted when Muehloecker three-bet him with queens and Zamani, with speed of action that would become a trademark at the final table, shoved with ace-five offsuit. An ace appeared on the flop and the rise of Zamani had begun, along with the fall of Muehloecker. He would only recover enough for a third-place finish, outlasting Markus Durnegger, Gianluca Speranza and the ultra-active Bedell. 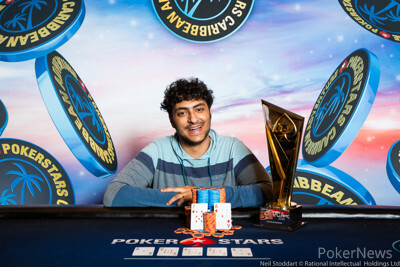 The latter boosted Zamani in a big way when he four-bet king-queen and ran into Zamani's ace-king suited, shipping him the chip lead six-handed. After Speranza busted, Zamani polished off Durnegger and Bedell in the same hand when queens held against ace-nine suited and fives. Martin Zamani wins a key three-way all in to reduce the field to three. After Zamani busted a short-stacked Muehloecker, he suddenly found himself in an exciting spot: heads up with Nitsche. The German's extensive accomplishments and considerable skill earn him nearly universal respect in the poker world, and Zamani counts himself among that number. "I've wanted to play Dom heads up for a long time," Zamani said with a smile. "I mean, come on. He's the end boss." What followed was a turbo heads-up session, in more ways than one. Not only had levels been cut to 30 minutes at the three-handed mark, but Zamani and Nitsche both played with blazing speed, instantly betting, checking and folding in a whir of fast-paced pots. 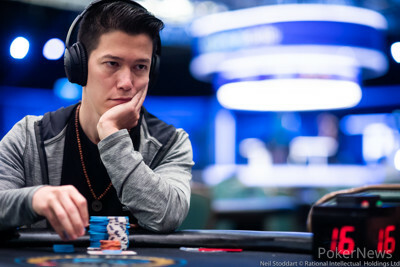 Zamani got the better of them, and after picking off a decent-sized bluff by Nitsche, Zamani got the rest of the money in with aces up and a flush draw on the turn against a pair of nines and a gutshot. The river bricked off and the end boss — and presumably the game — had been beaten. Afterward, the champ could scarcely believe how he'd ran. "I really won 20 for 20 all ins," he said, grinning. "Probably 30 for 30 now." Some of those definitely took some good fortune, such as when he cracked Muehloecker's queens and on Day 2 when his nines prevailed against Dario Sammartino's aces. It all resulted in a fun ride that Zamani said he didn't sweat despite the big money involved. He made the good luck count as he got his biggest score ever and nearly tripled his live tournament cashes, beating the end boss in the process and raising his first PokerStars trophy. Dominik Nitsche limped in on the button and Martin Zamani raised it up to 360,000 from the big blind. Nitsche called to see a flop of . Zamani led out for 300,000 and Nitsche stuck around to see the on the turn. Zamani slid in a stack of T100,000 chips, enough to put Nitsche to the test for his remaining 900,000. The German gave it some thought and decided to stick it in. Zamani flopped two pair and turned a flush draw to leave Nitsche drawing slim with a pair and straight draw. The dealer burned and turned the on the river and Zamani claimed the victory by eliminating Nitsche. Martin Zamani called a raise to 180,000 from Dominik Nitsche and they checked to the turn on . Nitsche then overbet the pot for 625,000 and Zamani used a time extension and called. both checked the river and Zamani showed . Nitsche couldn't beat it. "Time bank worked?" Zamani asked. Dominik Nitsche raised to 150,000 on the button and Martin Zamani called. The flop fell and Zamani checked to Nitsche who continued for 175,000. Zamani raised to 900,000 and Nitsche shoved all in for 1,340,000 which Zamani snap-called. Nitsche had the better holding with top pair but Zamani flopped two straight draws. The on the turn and the bricked off sending a double up Nitsche's way. Martin Zamani has gotten the better of a number of small-scale encounter early in the heads-up match. 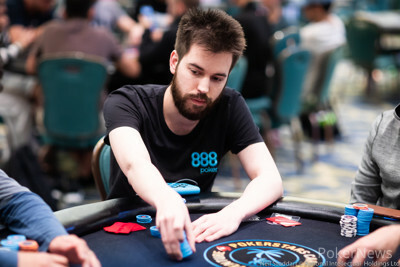 None of the pots were especially large, but after Dominik Nitsche took the first couple, Zamani took several in a row, including one where he bet turn for 150,000 on after defending big blind. Nitsche called and both checked the river, and Nitsche could only shake his head and chuckle when Zamani took showdown with . Thomas Muehloecker limped in from the small blind and Martin Zamani made it 250,000 to go from the big blind. Muehloecker burned through a time extension before pushing all in for 1,055,000. Zamani confirmed the count and called to put Muehloecker at risk. Zamani held the lead with ace-high but Muehloecker held two suite live cards. The board ran out to miss the Austrian completely and eliminate him in third place. Thomas Muehloecker got his last 565,000 in from the big blind against Dominik Nitsche, in the small blind with . Muehloecker had , and while he wasn't a fan of the flop, the turn pulled him back ahead. A river sealed his double.